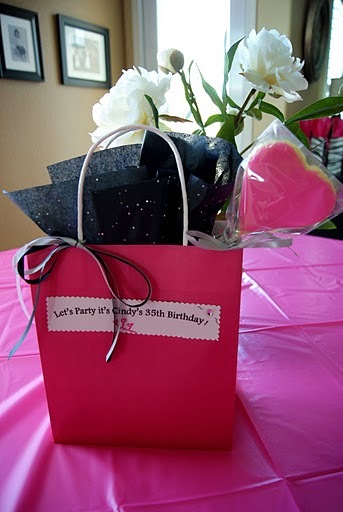 SPCookieQueen: Tiramisu and Cindy's 35th Birthday Party! Tiramisu and Cindy's 35th Birthday Party! Happy 35th Birthday Cindy! I think this story should begin with me embarrassing my baby sister, after all what are sisters for! I couldn't have been happier to throw a birthday party for my sister. She is 7 1/2 years younger than me; I'm being technical because, I don't need to add anymore years than I already have. I had the privilege of taking care of her when we were growing up, including making her play dress up; she was the doll. We shared a room until I got married and moved out, she enjoyed tormenting me and my now husband thoroughly, she was the quintessential third wheel. She has been a great Auntie to my girls and now she is a great friend to me, she's been my hospital sitting partner for my mom and everything else you can imagine! I just wanted her to know, it was my pleasure to celebrate yet another year in her life! I tried to keep some stuff a surprise, but she wanted in on the planning action, including making sure this was a grown-up foodie party, complete with cool foodie ingredients to go in the goodie bags. We always celebrate all the kids' birthdays in grand style, but us adults are always an afterthought; we decided to change that. I filled up all the bags; including spice mixes I made for the ladies, besides what's a party without champagne and chocolate! 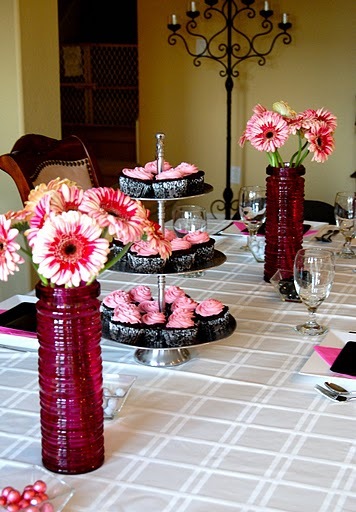 I had to set us a grown up table, hot pink, black and silver were our colors, so I had to add a little bling here and there! The doorbell rang and our guests started piling in. Louise, Denise, Cindy, Andrea, Debra, Alisha, and Marion. I told them to give me their hot girl pose; I think they did a smashing job! They all work together, and from the stories they told me, have way too much fun during the day. I'm trying to get a job over there so I can be their official potluck party planner! Shelly and Stephanie got here, Shelly is like another sister, a lifelong friend and someone I can always count on. Our kids have grown up together. We had people, now for the food; well I didn't want them to go home hungry or anything! We picked recipes from the blog so they could taste some of the things they have been drooling over, or maybe they just wanted to find out if I was full of "crapulous"! While we were waiting for the main course, we had a little fun with the ladies and played food games, foodie trivia and chopped, complete with lovely prizes! Here was our favorite question; "What is a crapulous person full of"? You should of heard some of the answers. I guess we had tortured them enough, so we sat back down in the dining room for some cupcakes, tiramisu and present opening. After many hours of stuffing ourselves and laughing, the guests were sent off with foodie gift bags. If you noticed the Sugar Cookie Heart Pops on the right, simply make the cookies per the recipe and insert a stick prior to baking and cover with a cellophane bag afterwards. Hopefully the ladies have all recovered from their food hangovers. Thank you everyone for helping make my sister's birthday so special, I had such a great time and it was my pleasure to meet all of you. A special Thank you Alisha for my edible Nasturtiums and Marion for the beautiful flowers. So whose birthday is next so we can have another party? I wish I would have had you around to throw my 35th birthday party! What a great sister you are. It looked like so much fun. And you are right - adults should have more fun with their own birthdays!! thank you for sharing your sisters special day with us, and your wonderful menu!! my girls were just asking to learn how to make tiramisu....my absolute favorite dessert! I'm sure your sister will always remember all you did to make this part such a hit. Thanks everyone it was wonderful and we had such a good time! Jill let me find a link for your book! Gina, you need your own tv show!! What a wonderful job you did on the party and how lucky you are to have such a close sister. Lol on Jill's comment!!! Nicely done, wonderful party and post Gina! Friends just to let you know, Jill Colonna is the author of Mad about Macarons, I haven't had a chance to read hers yet, but here is a link so you can stop by and say hi! Happy Birthday to Cindy! Sister are special. Mine is 14 years older than I am and she was alwasy there for me. What a great post; so nice to meet your wonderful family. Wish I would have been at that party; yummy menu. Grandma was right; San Marzanos makes the best tomato and spaghetti sauces. Happy Birthday to your sis, Cindy.. You are a great sis.. I have a sweet little sis, but we are so far away from each other, I miss her.. I wish I can celebrate her birthday sometime soon.. Happy birthday to your sister Cindy! I'm sure she and all the guests had a fantastic time. How lucky are they to eat all the wonderful food , have all the fun and bring home those lovely giveaway. thank you for sharing your sisters special day with us, i miss my sis! your wonderful menuis also good!! tiramisu....my favorite dessert! Happy Birthday to your sister. Wow Gina, everything looks so elegant. you did a wonderful job and the menu sounds fantastic. tiramisu is one of my favorite dessert. 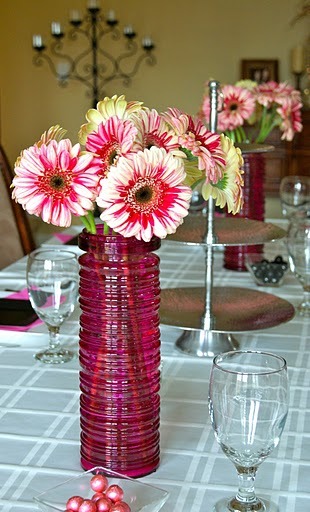 Gina you did a fantastic job with this party, and I especially love how perfectly you coordinated all the colors and decorations! BEAUTIFUL! Tiramisu is the best cake for birthdays! Maybe I'm just being very Italian right now but I truly believe that! Happy birthday Cindy! The perfect celebration: good food, family, friends, love. Your sister is so lucky to have you for a sister! 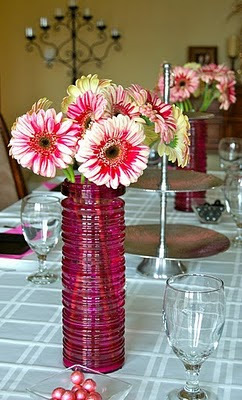 You certainly are the party planner extraordinaire! Everything was perfect, you covered every detail, from decorations, favors and the menu! Oh Gina...what a wonderful post. Seeing you lavish your sister with love and a special day reminded me of how much I love and care for my own sisters. Thanks for sharing, sweet lady. I hope you have a splendid weekend full of sleep, laughter and love! Gina, you did an outstanding job! WOW! You are really good at this party planning! I'm just getting to know you, but that's the vibe I'm getting. That sounds like you all had a blast! WOW!!!!! it looks impressive!!!! congrats Gina! what a treat! happy birthday to your sister!!!!! Great birthday party. She is lucky to have you for a sister! Wow Gina, what a fantastic party! Your sister sounds like a beautiful person, just like you. All that food and the goodie bags, wow you are a great party planner. I'll be waiting for your cookbook:) One day I'm going to come visit you and let (beg) you throw me a party. Hi Gina-You are such a wonderful, and generous big sister. I wish my big sister would be able to throw a party like that for me, but we live far away from each other. Happy Birthday to Cindy! You and Cindy look so much alike, it's amazing. Such a beautiful party, and all you ladies look so happy, and lovely! Thank you for sharing your joyous occasion with us...makes me feel like I'm a part of the fun, the way you posted everything so well, right down to the last detail. Hugs to you...have a wonderful Monday! I want you to plan my parties- please?? Everything looks so divine! And most importantly, everyone looked like they had an amazing time. You're a wonderful friend/relative. Wish you were closer.